In my previous posting, I mentioned the letters written by Nehru to Kennedy on November 19, 1962. It was followed by the visit of a high-level US delegation headed by Averell Harriman on November 22 (the day after the unilateral Chinese cease-fire). A few days earlier, the IB Director BN Mullik had created the Special Frontier Forces (SFF) by recruiting 5000 Tibetan refugees. Following Harriman's visit, the Force received a great boost from the US Central Intelligence Agency as several senior officials of the Agency accompanied Harriman on his visit to India. The 'collaboration' will continue till the end of the 1960's. By the time the SFF were ordered to march into Bangladesh, the CIA was no more involved with the Tibetan 'secret' Force. Kenneth Conboy's book on the CIA and Tibet gives more details. On 14 November, an Indian counterattack in NEFA was soundly routed. Three days later, the entire NEFA line collapsed, giving China virtual control over 64,000 square kilometers of territory. By 19 November, leaders in New Delhi genuinely feared an attack on Calcutta, prompting Nehru to take the extraordinary step of sending two secret back-channel messages to Kennedy pleading for a pair of bomber squadrons flown by U.S. pilots. India's infantrymen and Nehru's pride were not the only casualties of the conflict. Back on 28 October, America's bete noire, the discredited Krishna Menon, had tendered his resignation. With him out of the way and the situation on the frontier critical, Kennedy gathered some of his best and brightest on 19 November to discuss the war in the Himalayas. Among those present were secretary of Defense McNamara, Secretary of State Dean Rusk, and Assistant Secretary of State for Far Eastern Affairs Averell Harriman. At seventy-two, Harriman was one of America's most respected diplomats and politicians. The former governor had worked closely with the Indians in the past, having appealed to Nehru the previous year to assist in formulating a negotiated end to the looming superpower rivalry in Laos. Significantly, too, throughout the summer of 1962, Harriman had been a lone senior voice in the State Department supporting the CIA's argument for ongoing paramilitary operations out of Mustang. 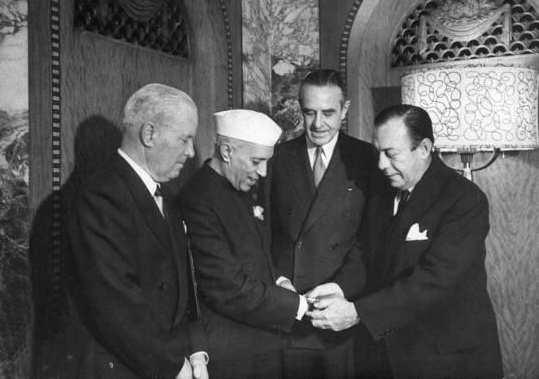 By meeting's end, it was decided that Harriman would lead a high-powered delegation to New Delhi to more fully assess India's needs. General Paul Adams, chief of the U.S. Strike Command, was to head the military component. From the CIA, Des FitzGerald won a seat on the mission, as did the head of the Tibet Task Force, Ken Knaus. Rendezvousing with them in India would be Critchfield, who received an emergency cable to depart Lebanon immediately for the subcontinent. 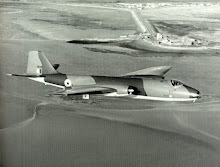 On 21 November, Harriman's entourage departed Andrews Air Force Base in Maryland. 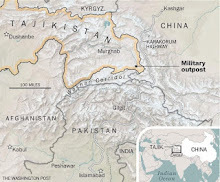 Although the Chinese declared a unilateral cease-fire while the group was en route, the situation was still tense when it reached New Delhi the following day. Without pause, Ambassador Galbraith ushered Harriman into the first of four meetings with Nehru. The end results of these discussions were plans for a major three-phase military aid package encompassing material support, help with domestic defense production, and possible assistance with air defenses. As a covert aside to Harriman's talks, the CIA representatives on the delegation held their own sessions with Indian intelligence czar [BN] Mullik. This was a first, as Galbraith had previously taken great pains to downscale the agency's activities inside India to all but benign reporting functions. As recently as 5 November, he had objected to projected CIA plans due to the risk of exposure. But in a 13 November letter to Kennedy, the ambassador had a qualified change of heart, noting that Menon's departure was a turning point to begin working with the Indians on "sensitive matters." Both the CIA and the Intelligence Bureau were quick to seize the opportunity. "I went into a huddle with Mullik and Des," recalls Critchfield, "and we started coming up with all these schemes against the Chinese." 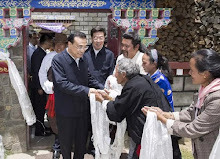 Most of their ideas centered around use of the Tibetans. "The Indians were interested in the Tibet program because of its intelligence collection value," said station chief David Blee, who sat in on some of the meetings. "Mullik was particularly interested in paramilitary operations." 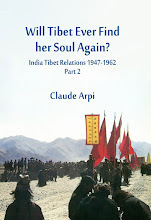 There was good reason for this: following Menon's resignation, and Gyalo Thondup's stated preference, the Intelligence Bureau had been placed in charge of the 5,000 Tibetan guerrillas forming under Brigadier Uban. Mullik was cautious as well. Although he was well connected to the Nehru family and had the prime minister's full approval to talk with the CIA, he knew that the Indian populace was fickle, and until recently, anti-Americanism had been a popular mantra. It was perhaps only a matter of time before the barometer would swing back and make open Indo-U.S. cooperation political suicide. To offer some protection against this, Mullik and one of his close deputies, M. I. Hooja, made a special request during a session with FitzGerald and Blee. "They made us promise that our involvement," said Blee, "would remain secret forever." By the end of the Harriman mission, the CIA and Intelligence Bureau had arrived at a rough division of labor. The Indians, with CIA support from the Near East Division, would work together in developing Uban's 5,000-strong tactical guerrilla force. The CIA's Far East Division, meantime, would unilaterally create a strategic long-range resistance movement inside Tibet. The Mustang contingent would also remain under the CIA's unilateral control. All this would depend on final approval by the highest levels of the Kennedy administration. Meanwhile, the CIA arranged for a sign of good faith. A single crew was selected from the agency's air proprietaries in Taiwan and Japan, then dispatched to Takhli aboard a DC-6 transport. Loaded with an assortment of military aid, the plane made three shuttles between Thailand and the Charbatia airfield near the city of Bhubaneswar in India's eastern state of Orissa. A relic of World War II, Charbatia had fallen into a severe state of disrepair. More remarkable than its poor condition were the precautions taken to keep the CIA's largesse a secret from the die-hard Soviet supporters among New Delhi's political elite. "We flew the last few miles just fifty feet above the ground to avoid radar," said pilot Neese Hicks. "We would land at dawn, eat a fast breakfast, and be back in the air toward Takhli." By the last week of November, the CIA representatives from the Harriman delegation were back in Washington and making their pitch before the Special Group. Though they could now count on Indian participation -- which had been a prerequisite for future support to the Mustang group -- they had a tough sell. CIA Director McCone, for one, was a pronounced skeptic with relatively little interest in covert paramilitary operations. Citing the example of Mustang (which had done precious little over the past year), he was dubious about the utility of developing a tactical guerrilla force that the United States could not ultimately control. And although officials in New Delhi believed that limited war with China might continue intermittently over a number of years, he questioned what would happen in the event of Sino-Indian rapprochement. Would the CIA have to cut its support to the guerrillas and the resistance in midstream? There was also sharp criticism from the Pentagon, but for a different reason. General Maxwell Taylor, the president's military adviser who had recently taken over as chairman of the Joint Chiefs of Staff, tore into Critchfield for not informing the Department of Defense about the ongoing paramilitary program at Mustang. 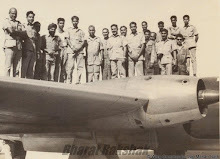 Many upcoming contingencies might hinge on the Mustang guerrillas, chided Taylor, and the Pentagon's representatives on the Harriman mission had only belatedly found out about Mustang's existence while in India. Many suspected that Taylor's umbrage was because he had lobbied hard over the past year to have CIA paramilitary operations revert to Defense Department control, and he was livid at finding a holdout. Despite the comments from the likes of McCone and Taylor, the chance of making significant inroads with the Indians -- and giving a bigger headache to Beijing -- was too good to pass up. On 13 December, the Kennedy administration approved training assistance to Uban's tactical guerrilla force. 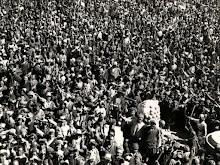 At the same time, the Tibet Task Force drew up plans to reopen Hale and school at least 125 candidates for the long-range resistance movement. Commented task force chief Knaus, "We had suddenly gone from stepchild to favored son."